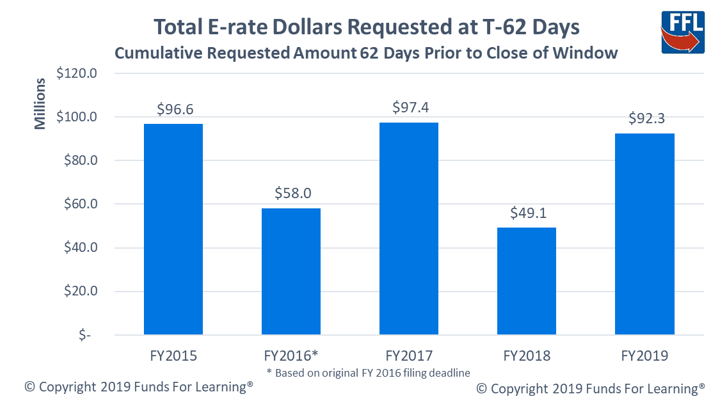 The first few weeks of an E-rate filing window are not the most action packed. As previously discussed, most of the Form 471 applications will be submitted at the close of the filing window. Still, the beginning can offer us clues about what to expect later in the spring. Looking at the first eight days of the funding year 2019 filing window, with 62 days left until it closes, it appears that this window is off to a better start than 2018. There already have been 1,501 applicants who have successfully certified forms, compared to 647 applicants at the same stage last year. Also, the count of forms submitted, and the total dollars requested, is well ahead of 2018. We have a saying around here at Funds For Learning: start early, file early, and save your documents. Fortunately, the 2019 filing window shows signs of more early activity. 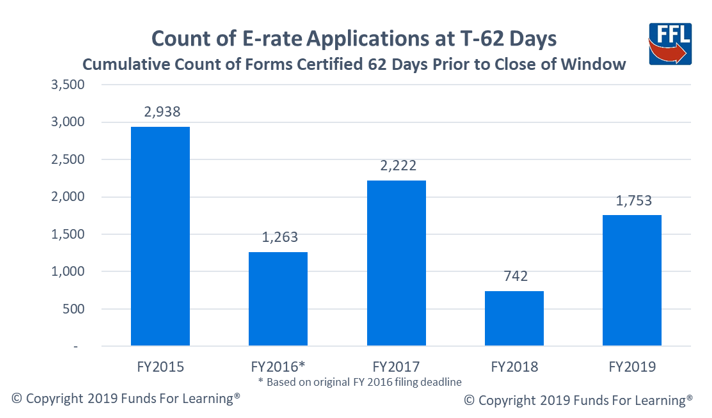 This could be the result of increased demand, enhancements to the EPC portal, and/or applicants better understanding the importance of getting their paperwork submitted sooner – and it is probably a little of each. Either way, it is a good sign to see more applicants getting started closer to the beginning of the filing window.